This class is a single three-hour workshop that covers media literacy, community media and our production process here at AIM. 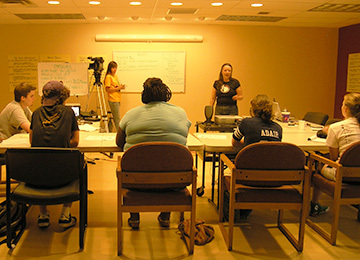 Introduction to Community Media focuses on the basics of media literacy as well as the rights and responsibilities of a community media producer. A significant portion of the workshop is devoted to AIM procedures and programming guidelines. This workshop is a prerequisite for all other AIM classes and the use of AIM production equipment and facilities.